Founded long time ago by professional musicians – graduates of Moscow conservatory and Jerusalem Music Academy, we played in many countries in Europe, Russia (Moscow) and Israel. 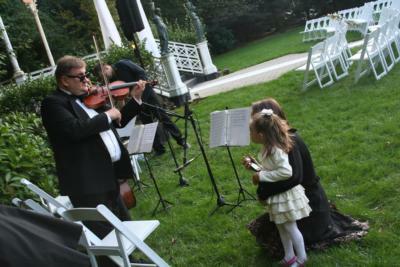 Our primary ensemble is duo, but other groups are available too including string quartet, trio and solo instruments. 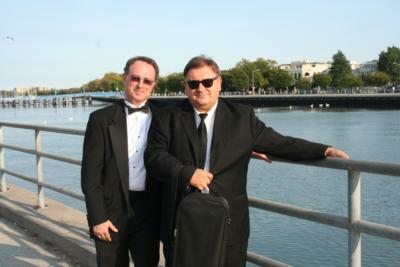 Our repertoire includes pieces from classical, jazz, folk and modern pop music. We offer professionalism, experience, flexibility and aspiration to accommodate client's requests, reasonable rates and easy communication. Available instruments: violin, viola, cello, piano, guitar, saxophone, clarinet. Please note Dominanta Music will also travel to Jamaica, Flushing, Far Rockaway, Arverne, Inwood, Long Island City, Cedarhurst, Lawrence, New York, Valley Stream, Woodmere, Atlantic Beach, Elmont, Floral Park, Hewlett, Glen Oaks, Lynbrook, Malverne, Bronx, East Rockaway, Franklin Square, Hoboken, Jersey City, New Hyde Park, Garden City, Great Neck, Island Park, Long Beach, Oceanside, Paramus.